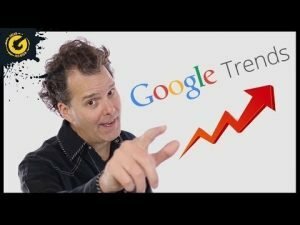 Subscribe: https://www.youtube.com/c/BrianGJohnsonTV?sub_confirmation=1 Looking for a Google Trends Tutorial? Look no further! In this in-depth training video. You’ll discover how I identify trending topics, search queries, questions and more. Share this video: https://youtu.be/2Uvywu1gRVQ Don’t just share your message. Stake your claim and amplify it! NEW VIDEOS: Wednesdays & Thursdays I share strategies, tactics and rituals that have generated job ending results for myself and countless students. More importantly, my methods allowed me to impact others in a positive way. And they will help you to do the same. Subscribe and join me! Subscribe: https://www.youtube.com/c/BrianGJohnsonTV?sub_confirmation= Send Your Swag: Brian G. Johnson 3630 Outback Vista Point Colorado Springs, CO 80904 ** All video and audio content created by myself and or used with permission from the creator.